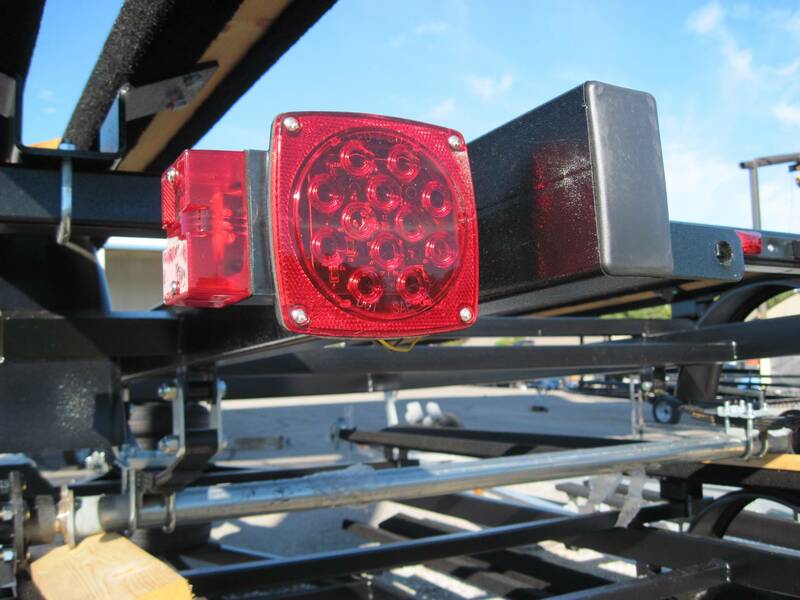 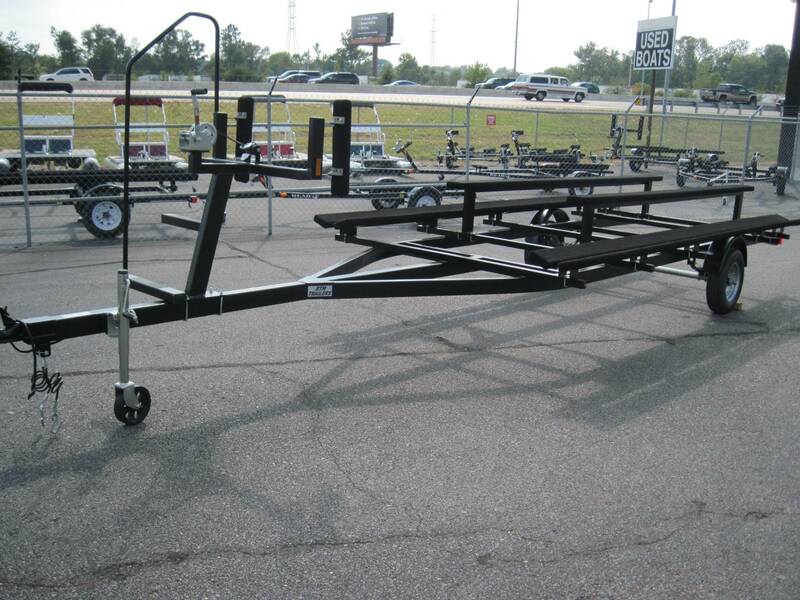 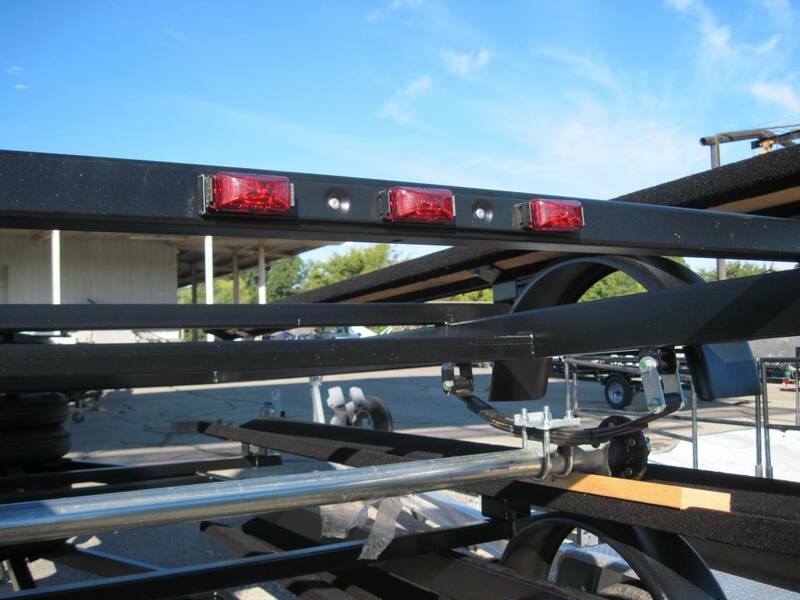 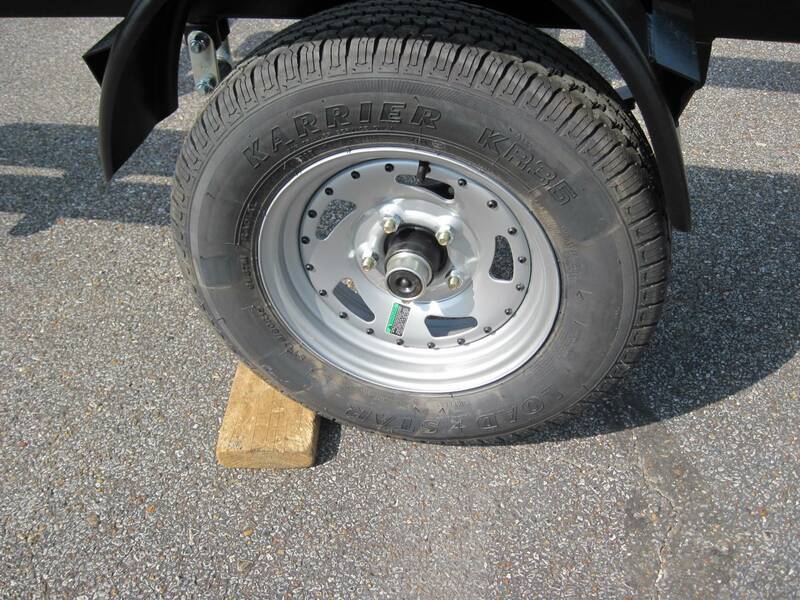 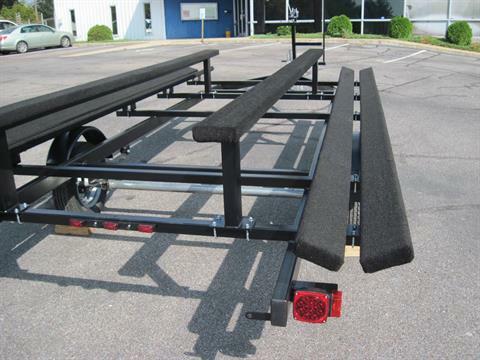 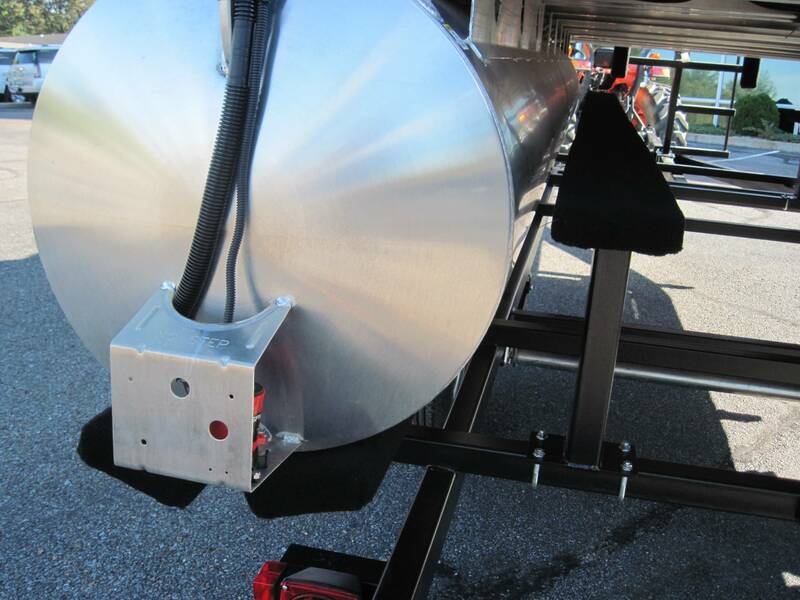 BTM S-18 trailers will carry up to 2250 lbs. These trailers use 3” x 4” central tube tongues, and 2” x 4” tube outer frames. 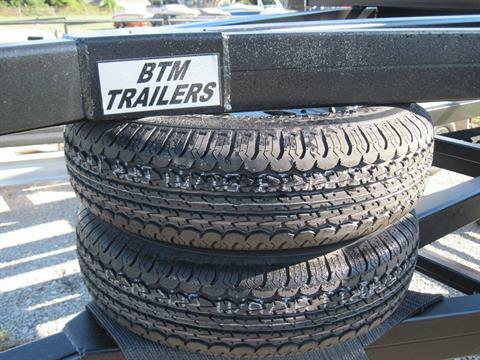 These are truly Heavy Duty trailers. 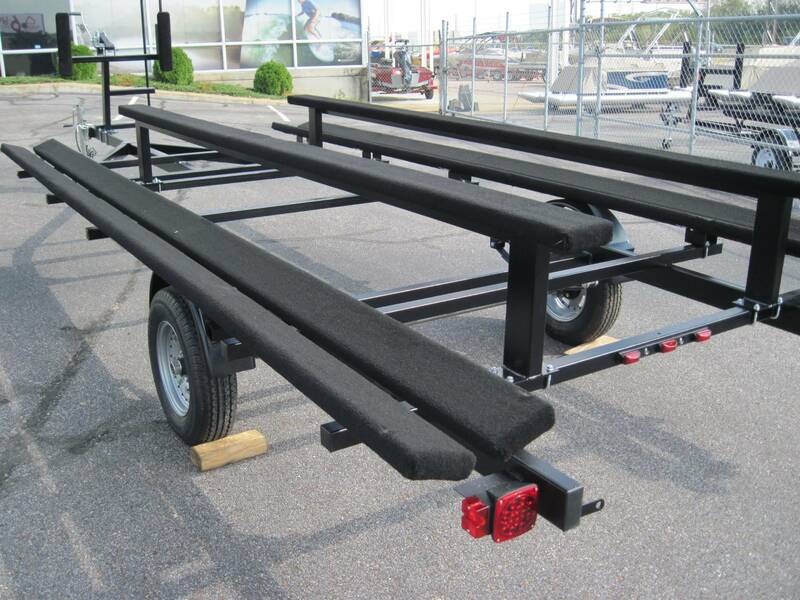 Built to last, they are powder coated with corrugated black epoxy coating. 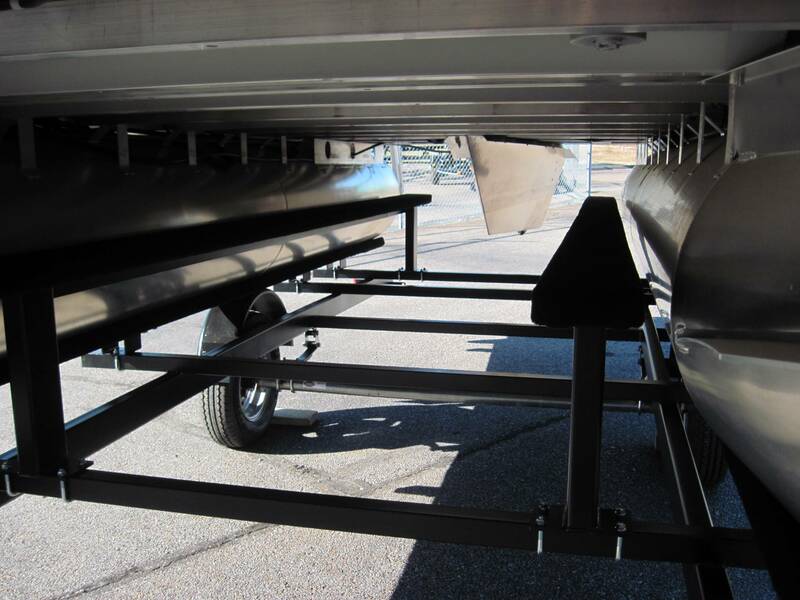 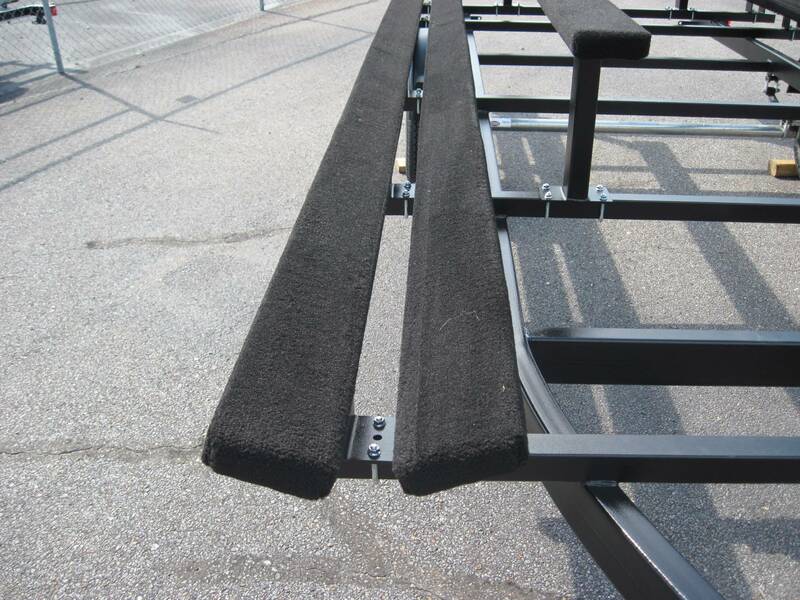 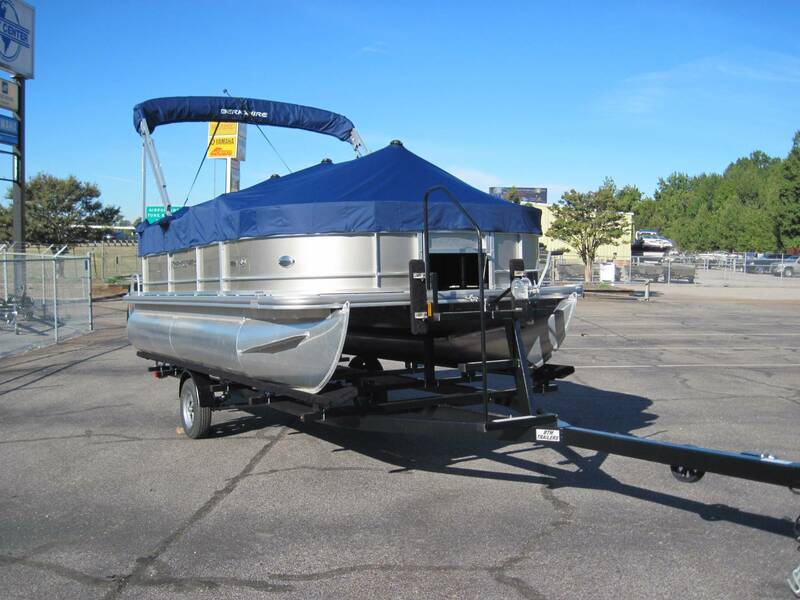 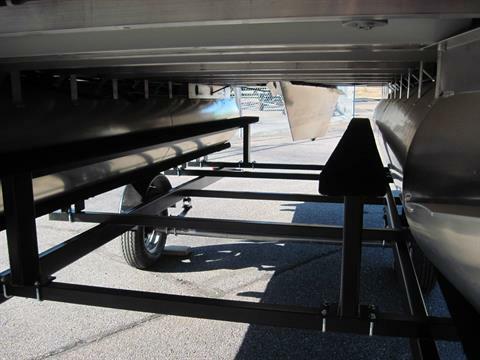 The adjustable pontoon bunks are 6” wide pairs of treated wood covered with Marine Grade carpet, and the bunks are 12’ long. 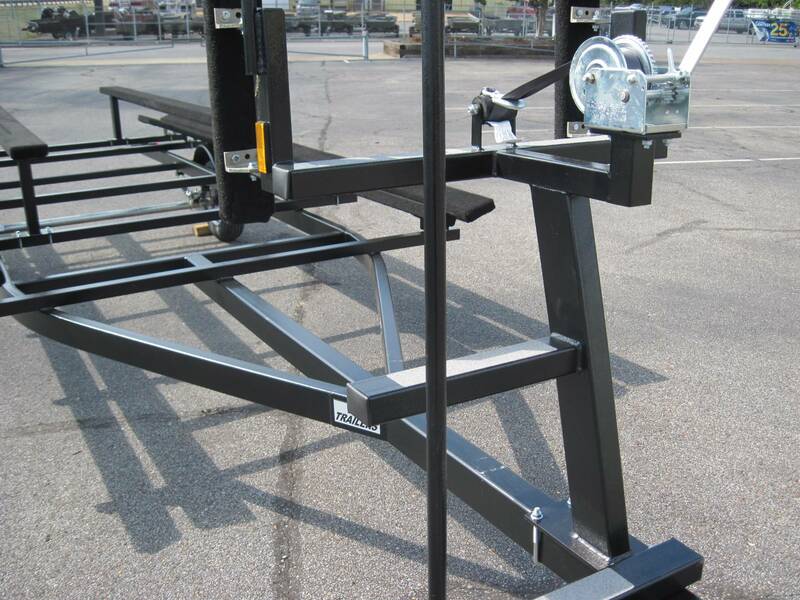 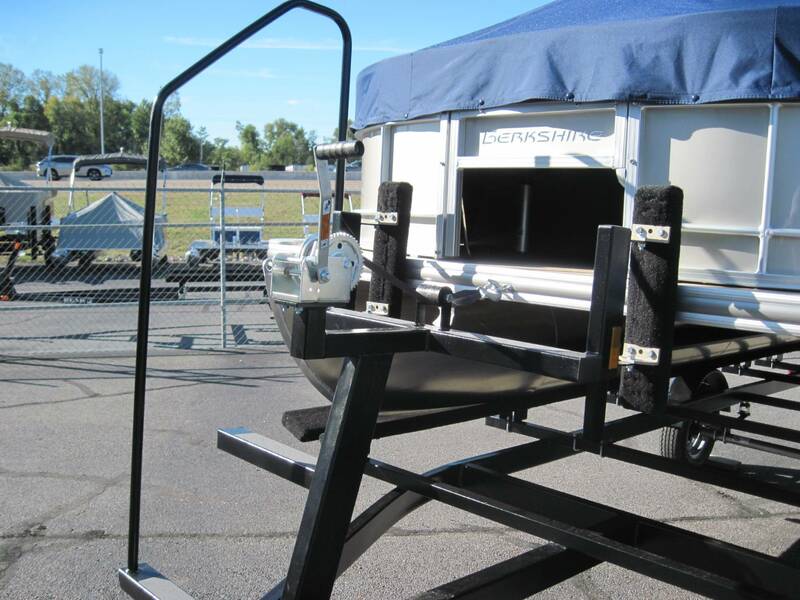 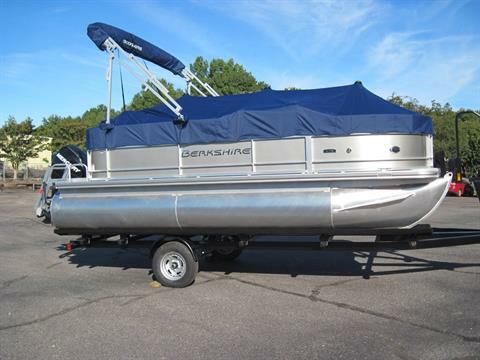 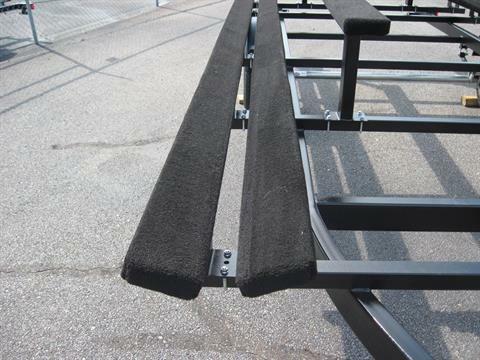 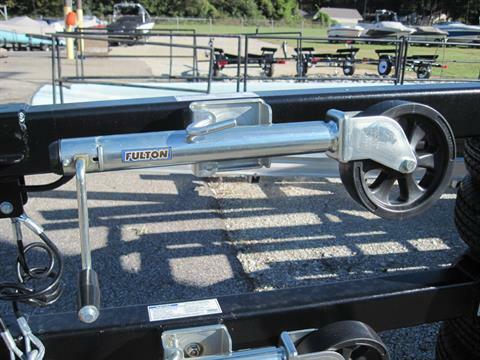 The front winch stand is also the Tall Rail step-Up for a safe and easy entry onto the pontoon boat. Standard features also include: LED running and marker lights, 13” radial tires with silver directional wheels with rivets. Posi-Lube hubs, fold away Fulton Big Wheel 1500 lb. 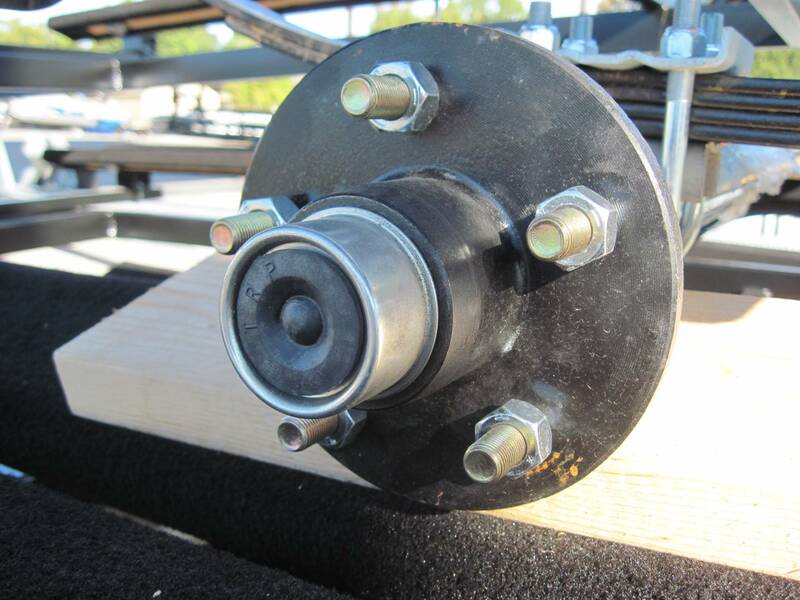 tongue roller jack, 2” trailer ball coupler. 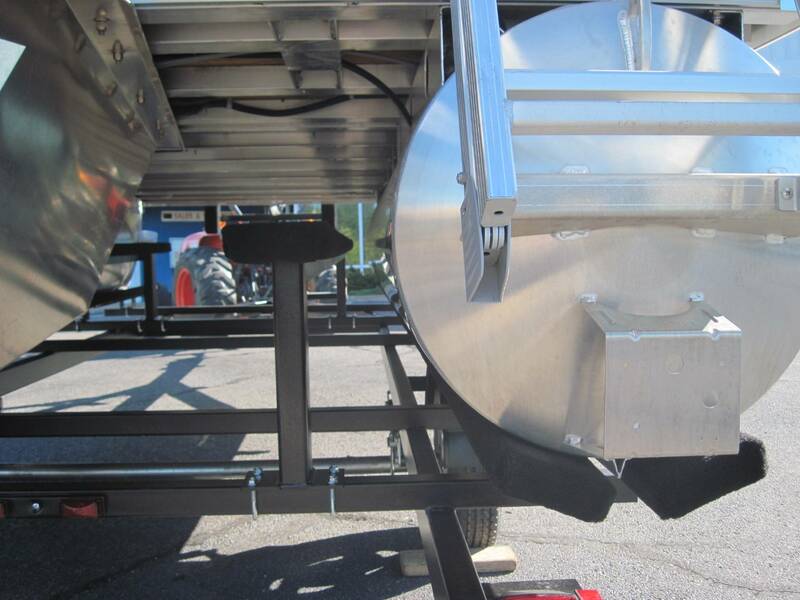 Coiled safety cables with snap hooks, and flat four prong trailer light plugs.